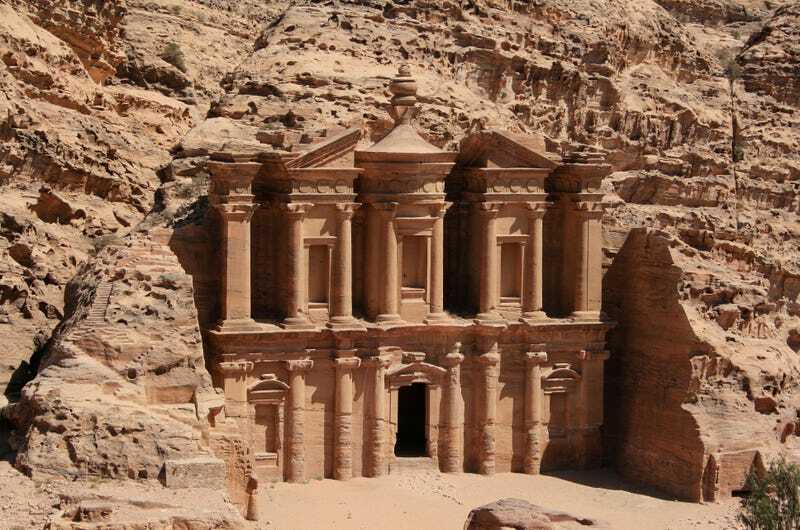 This temple in the ancient city of Petra in Jordan isn't just an architectural marvel. It's also an astronomical time keeper, designed to welcome the sunlight only on certain days of the year. The city of Petra is known throughout the world as a marvel — its buildings are carved directly into towering cliffs, making it look like one of the breathtaking elf cities in Lord of the Rings. And now we know that the builders of this temple, a group known as the Nabateans, knew enough about astronomy to line up their monastery doors perfectly to allow sunlight in on the winter solstice. "The Nabataean monuments are marvelous laboratories where landscape features and the events of the sun, moon and other stars interact," Juan Antonio Belmonte, a researcher at the Canaries Astrophysical Institute and coordinator of the study, said in a statement.